This low mass BCG provides smoother operation and less recoil resulting in faster target reacquisition for quicker follow-up rounds. This is critical in competition shooting and actual tactical situations. This FZ Lightweight BCG runs as great as it looks! 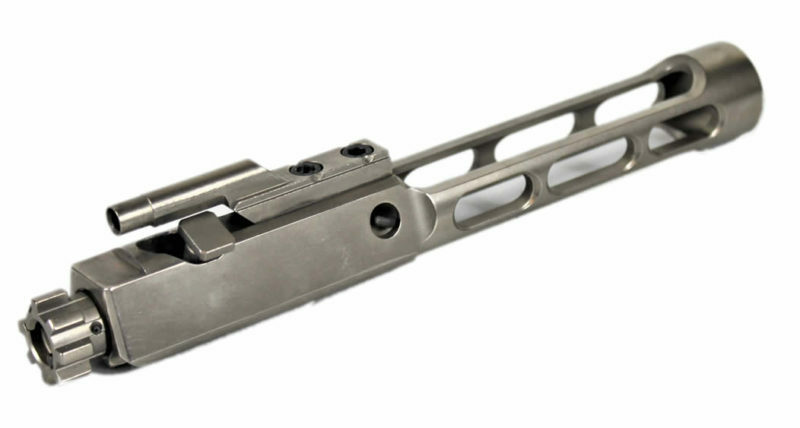 This Bolt Carrier Group (BCG) comes fully assembled and ready to drop into most mil-spec M16, M4 or AR15 upper receivers. All critical parts are coated with EXO Nickel Boron technology that provides permanent dry lubricity, extreme durability and increases both wear and corrosion resistance. Our patented Nickel Boron coating will reduce friction and improve the overall performance of your rifle.